Hardwood floors are absolutely beautiful, but they do have some problems, at least certain types. If you have dogs, you know just how much damage they can do to a hardwood floor. If you want a nice floor, but don’t want to give up your dog just yet, you will want to stick around. 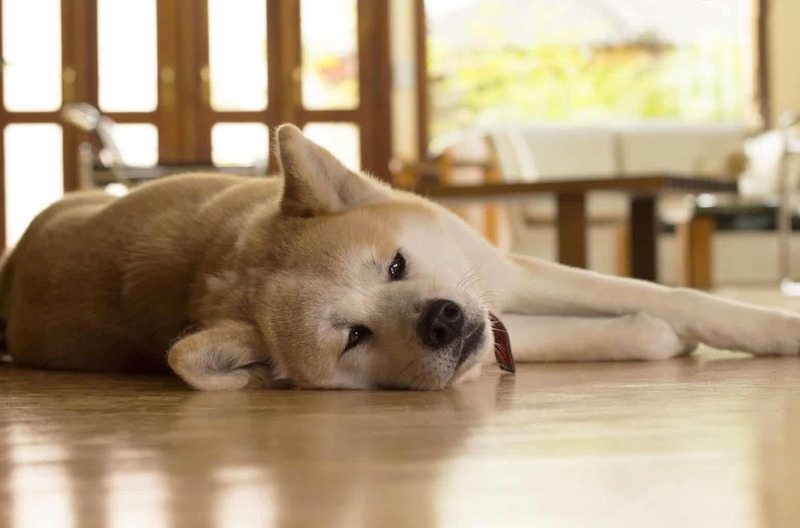 Let’s take a look at some of the top options in terms of the best hardwood floors for dogs. ​Related: Read our article about the best types of hardwood floors available today! Complete with reviews and comparisons. This is a nice, durable, yet fairly inexpensive type of hardwood flooring to go with, one that can definitely stand up to your dogs. These are really beautiful 5 inch wide acacia wood veneer hardwood panels. They feature a 1mm hardwood Acacia veneer for protection, one that can stand up to the claws of dogs quite well. 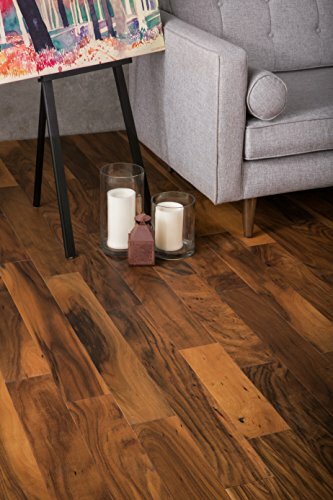 Uluru Sunset Acacia Wood Flooring has been hand scraped to create swirls and artisan design. These planks are CARB phase 2 compliant, so they won’t degrade indoor air quality either. This is advertised as being a structurally stable wood flooring with minimal expansion and contraction. They can be installed with glue, nails, or it can be left free-floating as well. For one, Uluru Sunset Acacia Wood Flooring looks extremely nice and artisanal. There is also the fact that this flooring is very durable and built to last for a long time. It is not easy to scratch or scuff, which is important if you have dogs. The fact that it doesn’t expand or contract like solid wood is a big bonus when it comes to integrity; plus it is very stable. These are all good aspects of this particular hardwood flooring. To be quite honest, there is really not a single thing that we do not like about Uluru Sunset Acacia Wood Flooring. It is fairly inexpensive, it looks nice, it is easy to install, and it lasts for a very long time. To be quite honest, besides the different color and pattern, this is similar to the previous option we just looked at. It comes in at the same price, and besides the color, it has all of the same features. 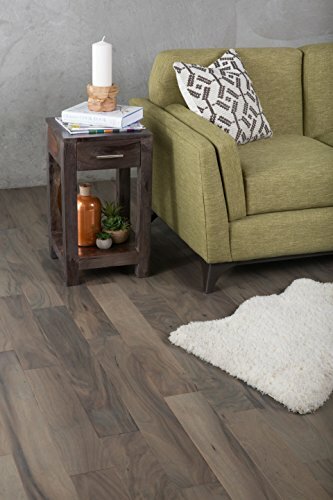 These artisan hand scraped wood planks definitely look very nice with their brown and grey swirls. The hand scraping really does make this wood flooring look very nice. Just like the first option we looked at, these are 5 inch wide planks with a 1 mm veneer on them. They can be installed with glue, nails, or be left free floating. They are specially designed for maximum structural integrity and to minimize contraction and expansion. The look goes well with modern homes no doubt. 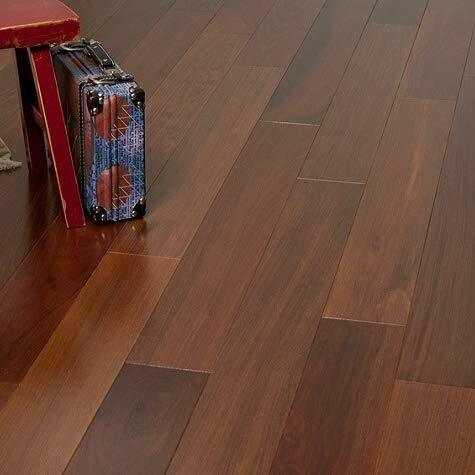 Shark Bay Acacia Wood Flooring is also CARB phase 2 compliant for optimal indoor air quality. 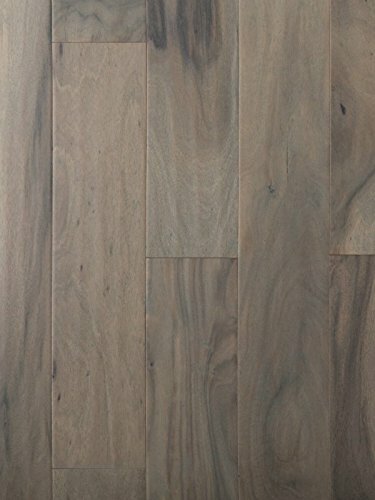 Just as with the first option we looked at, the Shark Bay Acacia Wood Flooring is very nice looking. It works well with lots of modern and old school décor. Next, allowing for various installation methods is always convenient, plus the fact that it does not contract or expand very much is a big bonus. All in all, we really like Shark Bay Acacia Wood Flooring. It is durable, scratch and scuff resistant. Dogs should not be a problem here. We really do not have much bad to say here. Although this flooring is a bit pricey for our liking, it comes with all of the features we expect good hardwood flooring to have. While Hurst Hardwoods Santos Mahogany Prefinished Wood Flooring may be quite expensive, it is certainly very durable. It comes with a full 30-year warranty, which is a testament to how confident the manufacturers are in the quality of their flooring. Santos mahogany is a fantastic wood choice to go with; more or less, it is the finest grade that you can get. This flooring has a Janka hardness rating of 2200, which is absolutely fantastic. It also features an aluminum oxide finish that has a warranty of 30 years. In other words, Hurst Hardwoods Santos Mahogany Prefinished Wood Flooring is about as durable as can be. Also, the rich color and beautiful grain here is about as good looking as it gets. It works well with the décors in most homes. 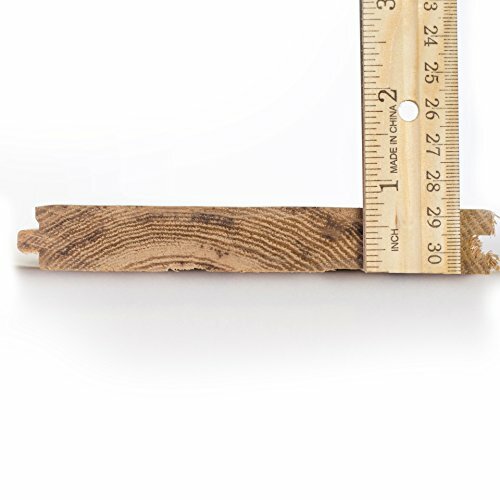 The planks are 5 inches wide and ½ inch thick. Without a doubt, the best aspect of Hurst Hardwoods Santos Mahogany Prefinished Wood Flooring is that it is so hard and durable, and comes with an awesome finish. Your dog’s claws are not about to scratch this flooring up anytime soon. Also, the great warranty and the even better look are both great features. 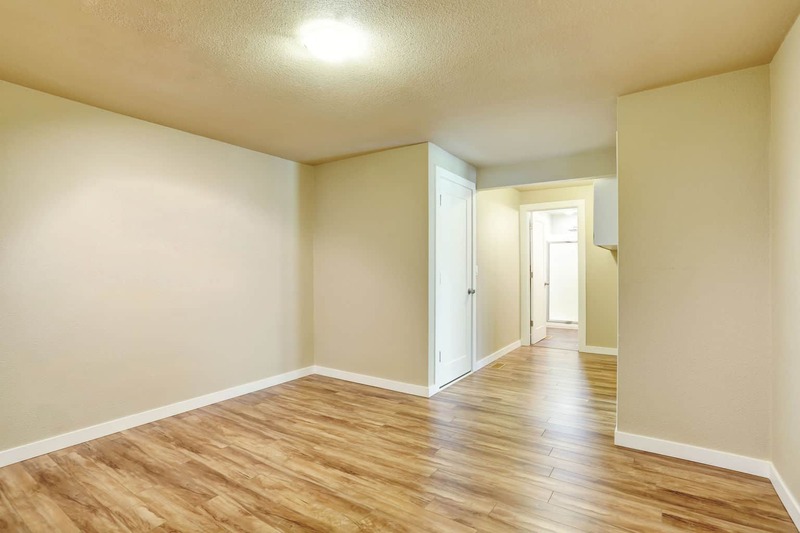 The only bad thing about Hurst Hardwoods Santos Mahogany Prefinished Wood Flooring is that it is expensive, very expensive, but still it is worth the investment. This is a fairly high quality and high-priced wood flooring to go with. Acacia is really nice wood and it features beautiful textures. It might be a bit pricey, but it is durable, it looks good, and can be installed in various ways too. There is honestly not all that much to say about this flooring. 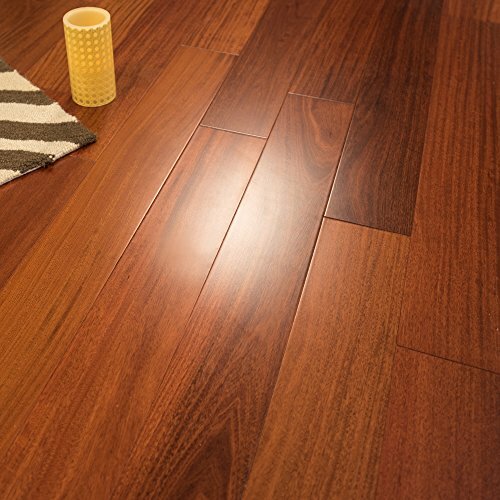 Elk Mountain Acacia Parchment Hardwood Flooring is made with tongue and grooves to fit together well. Also it features really nice natural wood swirling that works well with most décors. It is pre-finished, so you don’t have to treat it at all. The finish is designed to be scratch and scuff resistant, so your dogs won’t be able to tear it up. 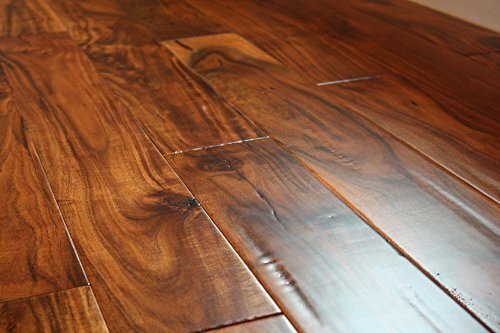 Elk Mountain Acacia Parchment Hardwood Flooring can be nailed, glued, or left free floating as well. For one, Elk Mountain Acacia Parchment Hardwood Flooring is quite durable. It is not as durable as some of the other options we have talked about, but it still holds its own. The natural wood swirl look is something else that we like, plus we also appreciate that it can be installed through various methods. Even though it is very durable, its life is not quite as long as that of some of the other options on this list. Except for that, and the high price, there is really nothing bad to say here. This is by far the most expensive option here today, but then again, it also looks very nice and is about as tough as can be. It’s an exotic option that brings a lot of life to any home. 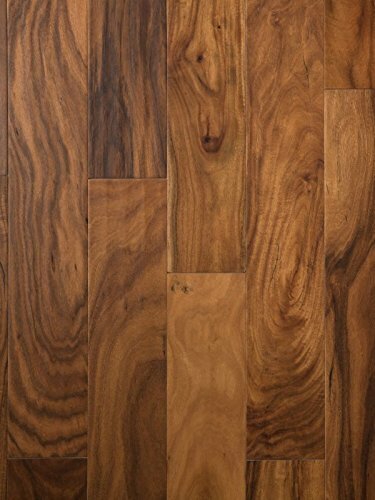 Brazilian Walnut Prefinished Solid Wood Flooring comes with an aluminum oxide finish and a 30-year warranty. It actually has a full 11 separate coats for ultimate durability. The wood itself is already hard, and when combined with the AO finish, is extremely tough. Your dogs won’t be scratching this flooring up anytime soon. The natural wood swirls look very nice. Also, the micro-beveled edges make this flooring quite easy to install. With a Janka hardness rating of 3680, you won’t have to worry about your dog’s claws. 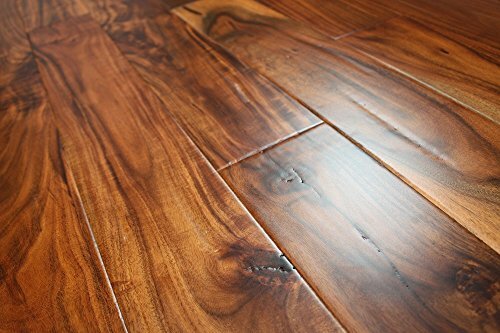 The good part here is of course that Brazilian Walnut Prefinished Solid Wood Flooring is extremely tough, durable, good looking, and comes with a great warranty. If it were not for the high price, this option would be higher on our list. 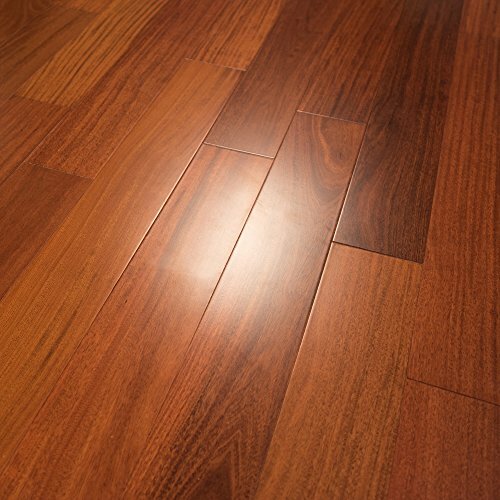 The bad part about Brazilian Walnut Prefinished Solid Wood Flooring is that it is ridiculously expensive. Many homeowners are now very concerned with making sure they choose the best hardwood floors for dogs. If your dog is important to you, you likely want a floor that will work well in your home as well as with your pet. 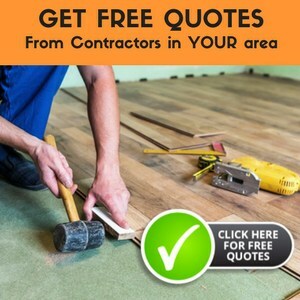 After all, you would not want a floor that will easily be damaged, effectively wasting your hard earned money. 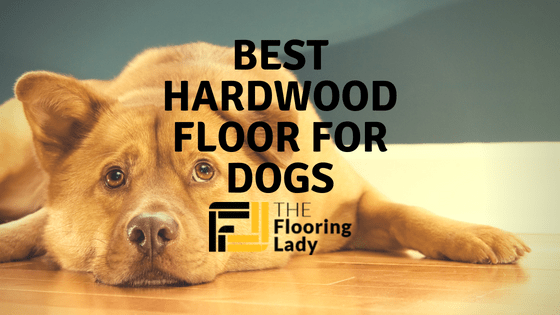 There isn’t necessarily one hardwood floor that is best for dogs, but there are certainly many different things to consider when you are wanting to choose one. When it comes to considering your dog, you will want to look at strength, color, grain, and different styles. If you have a dog, and you think you need some advice on the best hardwood floors for dogs, I encourage you to keep reading. When a dog is involved, it is best to choose a flooring that is not soft. For example, do not choose pine, cedar, fir, American Walnut, American Cherry, or carbonized bamboo. These softer wood floors tend to dent much easier than others, even when you do not have to worry about a dog. In reality, you’re going to spend more money. When it comes down to the choice between engineered or solid hardwood flooring, solid hardwood is a much better choice. Because you are able to sand down and refinish a solid hardwood floor, it is a much better option. If you get a scratch that is too deep, you can always sand it down and refinish it to remove the scratch. But with engineered wood, you would have to replace the pieces that are ruined which will cost a lot of money and time replacing. Distressed hardwood flooring is not incredibly popular up to this point, but it is definitely one of the best hardwood floors for dogs. The style of the wood tends to show scratches much less than others, making it a great option for pets. 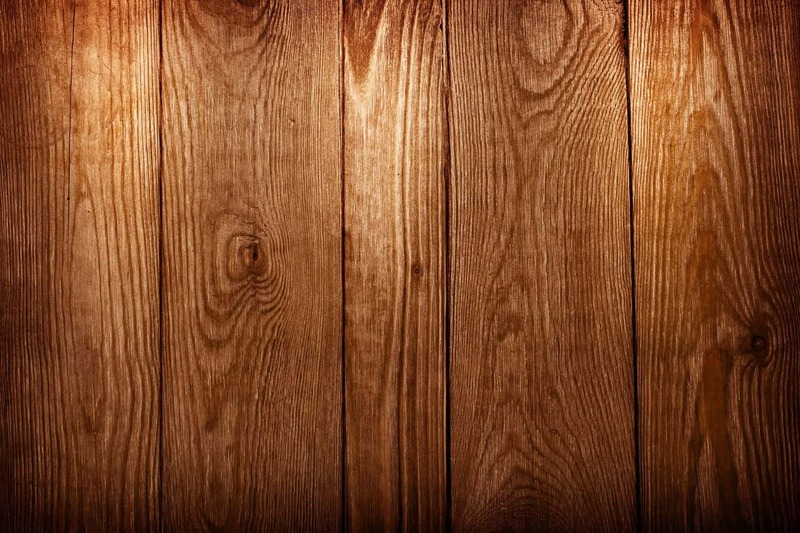 The wood is designed to look distressed, so getting a scratch from a dog will not matter. Not all wood is the same and there are some that are harder and tougher than others. 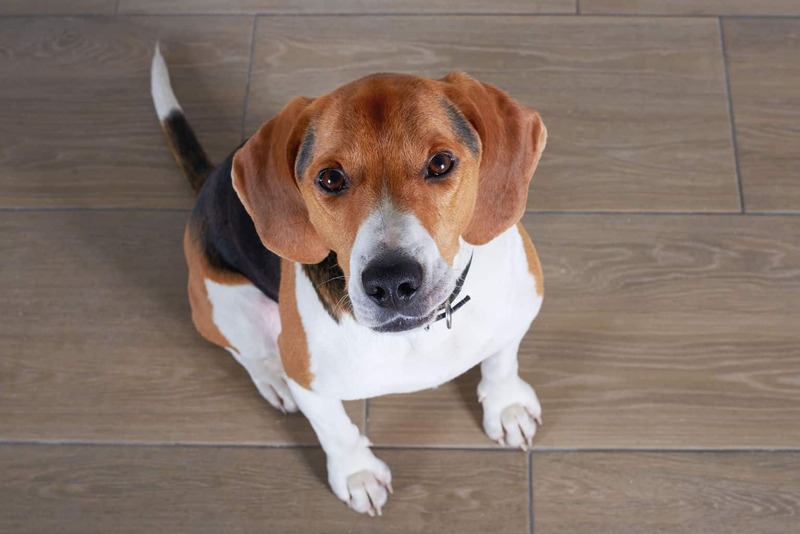 One of the best hardwood floors for dogs is Hickory. On the Janka scale, Hickory scores an 1820. There are many other options that are even harder, but you have to consider more factors than merely the hardness. Oak and Hickory are prime examples of hardwood floors with a strong grain, specifically red oak. Red oak floors are not as hard as other, but because of their strong graining, they do a great job of hiding imperfections caused by anything, especially pets. Floors with a strong grain tend to hide scratches much better than others. When you think about purchasing a floor, you often think about getting one with a nice, glossy finish so that it shines. However, if you want the best hardwood floor for dogs, you will want to choose a floor that has less finish or gloss. The glossier your finish is, the more the scratches will show up and reflect off of it. Even without the presence of a dog, this is a common issue. Choosing a darker floor will more often show the scratches more prominently, as well as dirt. Thus, a lighter color, if scratched by a dog, will show up less because it will be more similar in color to what is beneath it. It might be a good idea to also choose a color that is similar in color to your dog so that their fur does not stand out nearly as much. Having a dog is a big responsibility and being a homeowner is an even bigger one. Because of this, you have be careful when making choices for both your pet and your home. Choosing from the extensive hardwood floor options for your home is a challenging decision, but choosing one for your dog significantly changes your options. Thanks to the moderate price, the good look, and the high level of durability of Uluru Sunset Acacia Wood Flooring, we think it is the best option to go with. Shark Bay Acacia Wood Flooring makes for a closer runner up. If you don’t mind spending a bit of extra cash, Brazilian Walnut Prefinished Solid Wood Flooring is also a good option to keep in mind. Fun Facts: Ever wondered when hardwood floors were invented?